Set next to the Pacific along the island’s rugged north coast, the ST. REGIS PRINCEVILLE RESORT’S award-winning, 18-HOLE MAKAI GOLF COURSE reopened after a multi-million dollar renovation in 2009, and has received much penned acclaim by golf enthusiasts for its scenic vistas. Makai is really two courses in one: OCEANS NINE ventures closest to the Pacific, while LAKES NINE winds its way around serene lakes. The nine-hole WOODS NINE course is a pleasant diversion through native woodlands. Named No. 3 on Golfweek’s “Top Course You Can Play” in Hawai‘i, among the “Top 100 Golf Resorts” in Travel + Leisure, and taking the No. 65 spot on “America’s 100 Greatest Public Golf Courses” in Golf Digest, the fairytale fairway merits a tee-off. MAKAI GOLF CLUB also provides plenty of opportunity to pause, shop and refuel. Call (808) 826-1912, or visit makaigolf.com. But don’t just stop at Princeville. The Garden Isle is a golfer’s nirvana brimming with lush courses and breathtaking scenery. So what are you waiting for? Peruse kauaigolfclubrentals. com, pick a course, and then perfect your par. “Play where champions [like Tiger Woods] play.” POIPU BAY GOLF COURSE—18 holes, challenging and stunning—is best known for hosting the PGA GRAND SLAM OF GOLF from 1994-2006. Players of all levels will admire the lush emerald mountains near the rolling plateau designed by Robert Trent Jones Jr. Throughout play, you’ll be in company of ancient heiau (places of worship), nene geese, Hawaiian monk seals, sea turtles and the course’s luxurious amenities. Call (800) 858-6300, or visit poipubaygolf.com. OCEAN COURSE HOKUALA is an 18-hole dream. Renovated under course architect Jack Nicklaus, it boasts the longest stretch of oceanfront holes in Hawai‘i. Stroke through putting greens on a half-mile course of unparalleled oceanfront bliss. Located at 3351 Ho‘olaule‘a Way in Lihu‘e. 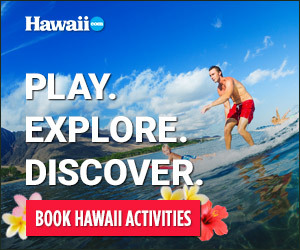 Call (808) 647-2799, or log on to oceancoursehokuala.com. KIAHUNA GOLF CLUB, the first course on the south shoreline near Po‘ipu, touts 18 holes of aloha; Kiahuna owns some of the fastest greens on Kaua‘i, thanks to a renovation that featured Seashore Paspalum Greens. Architect Robert Trent Jones Jr. has yet again showcased his magic, crafting a design that integrates ancient Hawaiian village remains. Call (808) 742-9595, or visit kiahunagolf.com. KUKUIOLONO GOLF COURSE is a nine-hole, par-36 local favorite. Perched on the hillside of Kalaheo, your focus may veer from tee to south and west shoreline views. Fun fact: Sugar plantation owner Walter McBryde donated the green to Kaua‘i’s people in the early 1990s. Call (808) 332-9151; no tee times accepted. Initially a 10-holer, PUAKEA GOLF COURSE was named a Top 10 nine-hole course in America by Sports Illustrated before it was later expanded to 18, maximizing its Ha‘upu Mountain framework (seen in Jurassic Park). Learn about rates and specials for the Robert Nelson-designed playground at puakeagolf.com or (808) 245-8756. Site of three USGA National Amateur Public Links Championships, WAILUA GOLF COURSE is among the world’s premier municipal courses. Finish the 18-hole, par-72 run along the ocean next to Lihu‘e’s historic coconut palm groves. Plan your visit at kauai.gov/golf, or call (808) 241-6666.